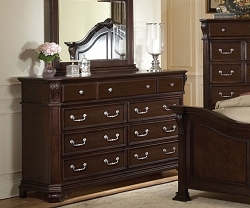 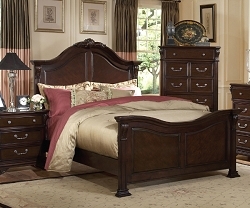 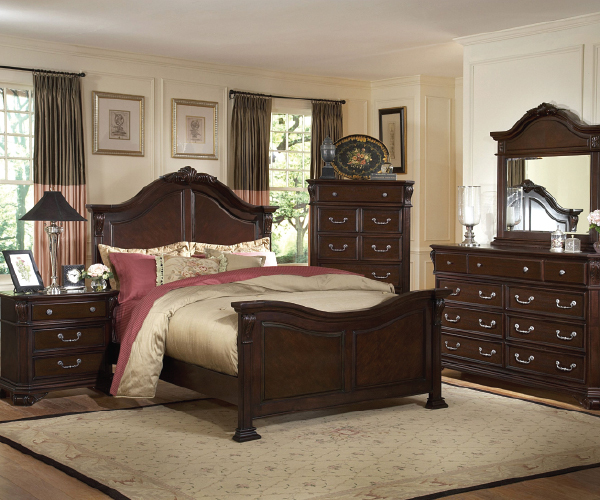 Beautiful designed with classic ornaments decor and antique handles, this bedroom suite gives you a simply classic style while providing you strong and prominent feel of a master bedroom suite should be. 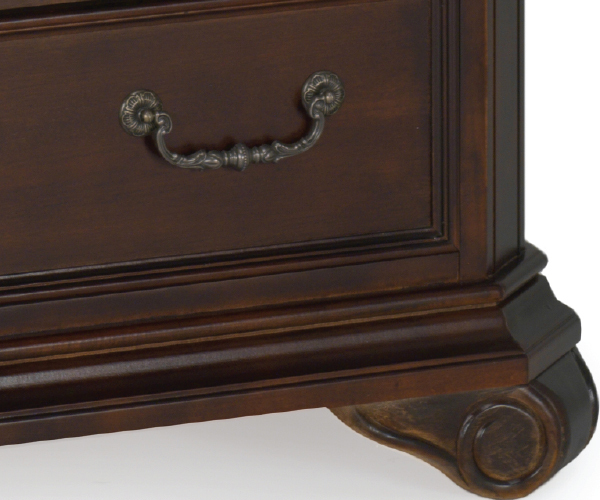 Metal glides from both side of the drawers. 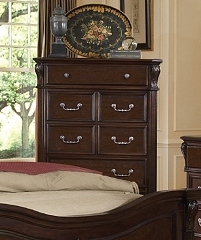 FL Comment: Very well built, thick drawers wood panels, full extension drawer. 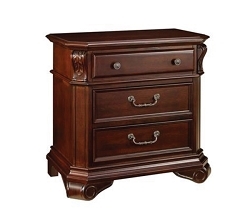 Quality piece of furniture.